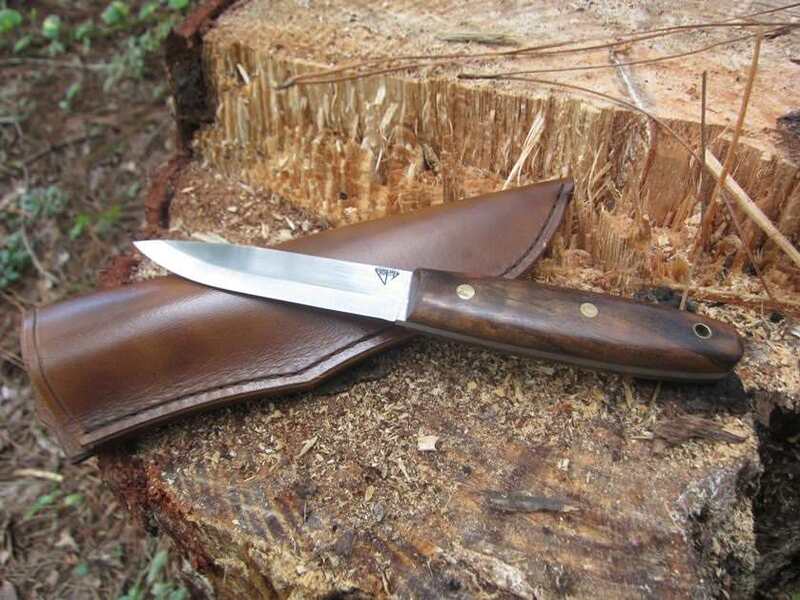 I was looking at FB this morning, and a friend in Yorkshire, Mark Hill, posted a killer Mora style knife he had made. It?s on the way, and at a great price. He posts here as ?Hillbill?. When it shows up, i?ll Post some pictures. Hello, Sam.... Looking forward to seeing it. I like his work. O1 steel, Walnut scales, black liners. Not a stick tang. True Scandi grind. I have two of Mark?s knives. He is quite the blade smith. Don't know way he stopped showing his work around here. I guess he needs more addict's like you Sam. The Mora style full tang has shipped. Things got worse though. Mark has agreed to tackle making me a Loveless style Chute knife. Elmax steel, green G10 handle. These are very difficult blades to make. I?m certain he will do a fine job. Hope to get it by Christmas! hmm steel addicts is this like AA. hillbill theres a name i have'nt seen from since i joined the fourm. hope he starts posting again. he does nice work. the Mora style Knife Mark made for me arrived today O1 steel, Walnut scales. Scandi grind. An amazing knife. Finally, a mora I can love. I can't post with PictureTrail until they fix my account. I can't figure out how to post the picture from IMGUR. Photo Bucket is kaput. I guess I won't be posting pictures here for awhile. Sam, download the image to imgur. Click the image. Click copy BBCode. Paste. BTW/ You're getting resin on that knife on purpose? Oh yea, I like that! Congrats! the resin wipes off. A squirt of WD40 and it's gone. I cut up a gallon bag of fat wood out of that stump yesterday. It's a gold mine. The knife is simply amazing. Very nice. Next thing you know, you'll be hawking Moras. 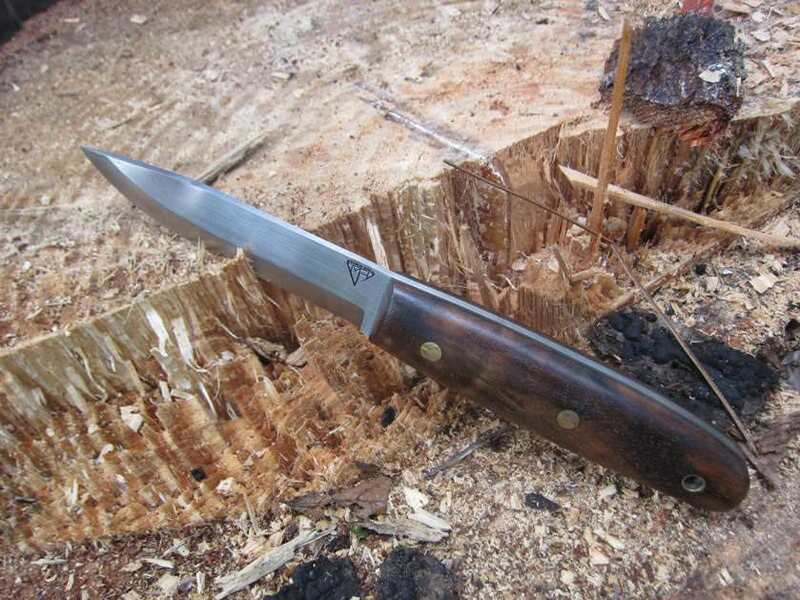 were Mora knives as well made and as sturdy as this one is, I probably would. Now I know I could have bought a dozen Morakniv blades for about the same money, but what the hey. This one came with a very well made fitted leather pouch sheath. I took a wilderness survival course once with an Opinel. Everybody laughed at me. I actually did better than those with a knife from "He who shall not be Named". Another time, another place. That said, I would love a knife from that maker that made yours.